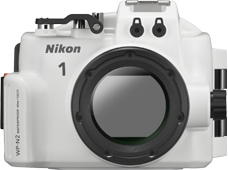 TOKYO - Nikon Corporation is pleased to announce the release of two new Nikon 1 advanced cameras with interchangeable lenses that propose new forms of imaging expression. The first is the J3, which represents a new branch in the J-series lineup and offers even faster performance in the world's smallest body. The second is the S1, which establishes a new line of Nikon 1 cameras with intuitive operation that makes enjoying a digital camera with interchangeable lenses even easier. Nikon 1 is a compact, lightweight camera system that proposes new ways of enjoying digital cameras with interchangeable lenses with superior, high-speed performance, beginning with the Advanced Hybrid AF System for optimal focusing, functions such as Smart Photo Selector and Motion Snapshot, which ensure certain capture of the perfect moment, and functions that offer users unique imaging experiences. In addition to improvements to these features adopted for the new J3 and S1, these two cameras are also equipped with a number of new functions. The J3 is even faster than previous models, supporting high-speed continuous shooting at approximately 15 fps with AF tracking, all in the world's smallest body. The Slow View function, which enables capture of just the perfect moment, and Live Image Control, a feature that allows users to preview the effects of settings in the camera monitor prior to shooting, have been added to the J3. In addition, the Smart Photo Selector and Motion Snapshot functions have been improved and the camera has been equipped with Advanced Movie mode, which enables adjustment of settings (in P, S, A, and M exposure modes) for movie recording. What's more, the minimalistic design using metal on the front surface of the camera is available in five color options for a more elegant and precise exterior finish. The S1 is the first in a new Nikon 1 series developed for those new to advanced cameras with interchangeable lenses. It offers the same high-speed performance and variety of functions that enable certain capture of the perfect moment as other Nikon 1 cameras, but is equipped with a new GUI for even simpler, more intuitive operation. It is available in five colors, including khaki, to suit a wide variety of personalities and preferences. The J3 and S1 both support the Wireless Mobile Adapter WU-1b (available separately), enabling users to not only transfer high-quality images captured with the camera to a smart device over a wireless connection, but also to use the display on a smart device in place of the camera monitor for remote shooting. In addition, a waterproof case compatible with the J3 and S1 (with the 1 NIKKOR VR 10-30mm f/3.5-5.6) will also be released. When used with the J3 or S1 camera system, photographic possibilities are greatly expanded with support for underwater shooting of a variety of subjects and scenes. The J3 offers improvements on basic camera functions, yet still has the extremely compact body characteristic of Nikon 1 cameras. It boasts the world's smallest size* with a width of just 101 mm, a height of 60.5 mm, and a depth of 28.8 mm. *Among digital cameras with interchangeable lenses equipped with a CX-format or larger image sensor available as of January 8, 2013. Statement based on Nikon research. The cameras are equipped with the Advanced Hybrid AF System, which utilizes both phase-detection AF and contrast-detect AF. Phase-detection AF offers fast focusing and superior tracking of moving subjects. Contrast-detect AF offers superior performance with shooting in dark or dimly lit surroundings. The Advanced Hybrid AF System allows the camera to choose the optimal AF method according to the subject or shooting conditions, for nearly instantaneous focus on a wide variety of subjects, including those in motion. The cameras are equipped with the CX-format, Super High-speed AF CMOS Sensor, developed by Nikon, for superior image quality and high-speed AF. The J3 and S1 both offer 135 focus points, including the 73 used for phase-detection AF, and the world's shortest shooting time lag. *1 At approximately 15 fps, they also offer the world's fastest continuous shooting rate*2 with AF tracking. As the latest model in the J series, the J3 offers a number of advanced specifications. It has an effective pixel count of 14.2-million pixels, supports a range of sensitivities from ISO 160-6400, can capture up to approximately 22 shots with a single burst of continuous shooting at 15 fps (with AF tracking), and approximately 20 shots with a single burst of continuous shooting at 60 fps (without AF tracking). The S1 has an effective pixel count of 10.1-million pixels, supports a range of sensitivities from ISO 100–6400, and can capture approximately 15 shots with a single burst of continuous shooting at either 15 or 60 fps for a level of performance well suited to simple photography. The cameras are equipped with the new EXPEED 3A image-processing engine, optimized exclusively for Nikon 1 cameras, for extremely fast image processing. This makes the most of the superior performance the cameras offer with shooting using the Motion Snapshot and Smart Photo Selector functions, as well as other features that require high-speed processing, including high-speed continuous shooting. *1Among digital cameras with interchangeable lenses available as of January 8, 2013. Tested using the 1 NIKKOR VR 10-30mm f/3.5-5.6 at the wide-angle position in Single-point AF mode. Statement based on Nikon research. *2Among digital cameras with interchangeable lenses available as of January 8, 2013. Statement based on Nikon research. When the Slow View function is enabled, the camera focuses while the shutter-release button is pressed halfway. It begins buffering images and plays them back in a continuous 5x slow motion loop in the camera monitor. When the frame the user wants to keep is displayed, pressing the shutter-release button down the rest of the way records that frame. This function is convenient for capturing rapidly moving subjects. By simply pressing the shutter-release button, this function records a still image and a slow-motion movie. With playback, the slow-motion movie plays for approximately four seconds and the still image is displayed for six seconds for a total playback time of ten seconds of footage capable of expressing emotion. With the J3 and S1, new background music has been adopted, and background music can also be changed after recording is complete. What's more, users can choose from two options to specify movie placement in the Motion Snapshot–before and after still image display, or only before still image display. In addition, the electronic vibration reduction (e-VR) function built into the camera is supported and can be used to digitally process Motion Snapshots to reduce the effects of camera shake. 20 shots (15 shots with the S1) are taken in quick succession before and after the shutter-release button is fully pressed. The shots determined by the camera to be the best shots are then automatically recorded. The version of this function built into these cameras is better at selecting the best shot with a number of improvements, including greater compensation for camera shake and more accurate detection of subject movement. The cameras are equipped with Live Image Controls that allow users to preview the effects changes to controls such as background softening and brightness control will have on final photographs. This enables more intuitive operation with a focus on imaging expression, without concern for the numerical values of settings. When recording movies in movie mode, high-resolution still images can be captured without interrupting movie recording (J3: 1080p full-HD movie + approx. 14.2-megapixel still image (4608 x 3072 pixels, 3 : 2 aspect ratio); S1: 1080p full-HD movie + approx. 8.3-megapixel still image (3840 x 2160 pixels, 16 : 9 aspect ratio)). In addition, the cameras support recording of more original movies with Advanced Movie mode, which allows for movie recording in P, S, A, and M exposure modes. The camera's elegant design is emphasized with the cutting of some parts and the use of metal on the front of the camera body. The camera body is available five elegant colors–silver, red, white, black, and beige. In addition, lenses sold as part of lens kits with camera bodies are the same color as the camera body. This color coordination is one of the primary features of the Nikon 1 system which achieves an integrated look for the cameras and lenses. The camera is equipped with controls that enable intuitive operation of the camera, including a mode dial for simple application of one of five shooting modes–Auto mode, Creative mode, Motion Snapshot mode, Advanced Movie mode, Best Moment Capture mode–and a feature button for selecting a Live Image Control, Motion Snapshot theme, and more. The camera is available in our most popular colors to date–black, pink, red, white–as well as a new khaki color. Lenses sold as part of lens kits with camera bodies are the same color as the camera body. This color coordination is one of the primary features of the Nikon 1 system which achieves an integrated look for the cameras and lenses. The GUI built into the camera offers superior visibility with large icons, it is designed with a very simple and streamlined menu structure, and has a color scheme that makes for very clear viewing. Compact and lightweight at 156 x 116 x 128 mm in size, and weighing just 750 g.
Designed for a compact size and a firm grip. Waterproof to a depth of 40 m makes it suitable for use while diving. Lens zooming is supported without the need for additional accessories such as an underwater zoom gear. The camera's flash can be turned off when the camera is placed in the waterproof case. The YS-D1 Underwater Flash Unit (optional) enables underwater flash photography. Designed for easy access to the shutter lever and movie-record button for smooth selection of, or switching between, recording methods. Supports a more advanced underwater housing system with its own accessory shoe and support for 67-mm diameter filter attachments. Images exhibiting natural colors can be achieved when the Underwater white balance option built into the J3 and S1 is selected with underwater shooting.